Jason Hawkins is about to throw the biggest Hail Mary pass of his career. If he can't turn NFL recruiters' heads this year, he'll lose his shot at the one thing he's ever been good at. But every quarterback needs a man he can count on down the field. For Jason, that man just might be the Tigers' new receiver, Derek Griffin. Four years ago, Derek nearly lost everything after being outed by his teammates. 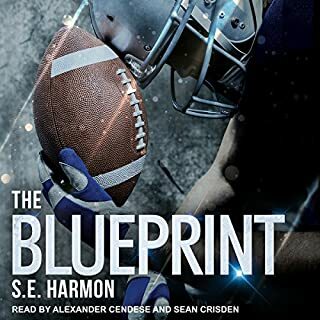 Now he finally has a chance to get it all back as a walk-on for Eastshore College.... if he can resist his immediate attraction to the gorgeous and very straight star quarterback. Laurie Adams looked like he had it all, but his marriage was a sham. When his husband dies, his in-laws have decided Laurie isn't fit to raise his children. He's lost his husband and his faith in people, but he won't lose his children, too. So he runs back home to the farm town he'd left behind a decade ago. When Dean MacIntosh's childhood best friend comes running home for protection, Dean has no problem stepping in. Except when Dean offered to fake marry Laurie, he never expected the wedding kiss to feel so sweet, and he begins to question the sexuality he once took for granted. The complete Rip Cord trilogy, including The Reunion, The Weekend, and The Ever After. Beau Hopper is good at good-byes. A minor-league hockey player, he goes where the league tells him. Former Marine Connor Casey's life revolves around his siblings. After Hurricane Harvey took their home and a car crash claimed their parents, Connor is determined to rebuild their house and their lives. 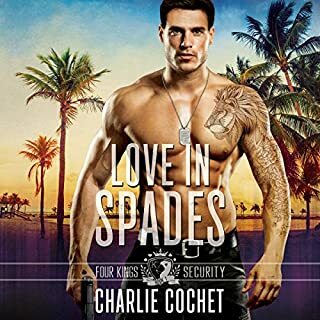 When Beau learns Connor might lose custody of his siblings if he can't finish the rebuild in time, he volunteers to help in exchange for a place to stay, and it isn't long before he finds himself in Connor's bed. Billy Thornton is a known troublemaker. He's spent the better part of his life doing whatever his brother Clem wanted him to - from intimidating people to stealing from them. The consequences if he resists are life-threatening. Billy has spent more than one night healing after his brother got pissed at him. The one thing Billy can't do is allow Rourke Blaecleah to be hurt. Billy has loved Rourke for as long as he can remember, even though he knows it is wrong. The only way he can deal with it is to do everything in his power to keep Clem away from Rourke, and that means putting himself in harm's way more than once. When Rourke corners Billy one night and kisses him, things come to a head. Rourke realizes that the man he has been looking for all of his life is right under his nose. Billy finds that he might actually be able to experience what loving Rourke is like in real life and not just his fantasies. And both men realize that what they have found together has put their lives in danger because Clem is coming for them, and he's not happy. The book is a good story, but I found the narration a bit jarring. Ma and Da Blaecleah both immigrated from Ireland when the eloped. Despite that fact every member of the family speaks with a southern drawl. At the very least Ma an Da should have Irish accents - not Texas twang. This is a bookj I've re read and re listened to many times I love this series and I like the relationship dynamics I'm not crazy about the narration but its better than some other productions.